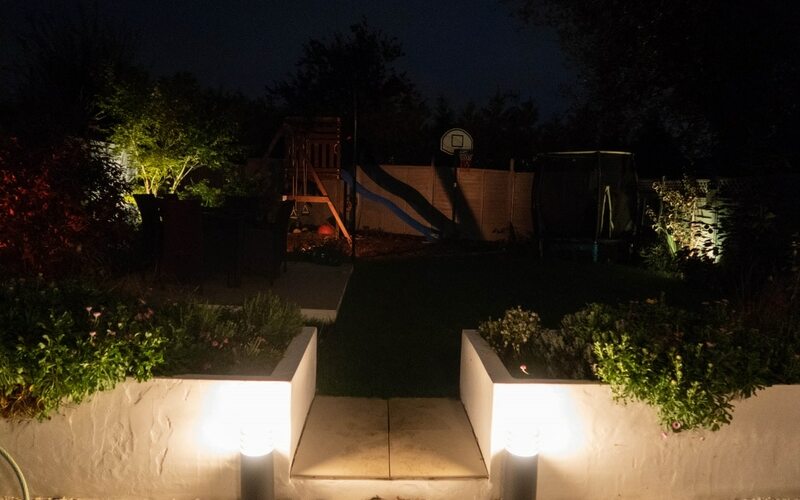 Back in the summer, I shared with you our amazing Philips Hue outdoor lights that we had installed in the garden. 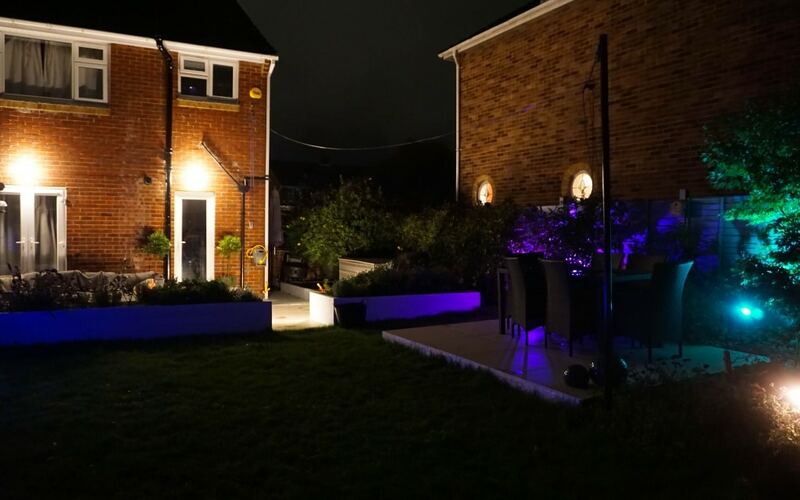 We have been enjoying using the lighting so much and it’s completely changed the way we use our garden. As the colder months approach, with shorter days and dark evening, the garden is going to be used in a much different way. 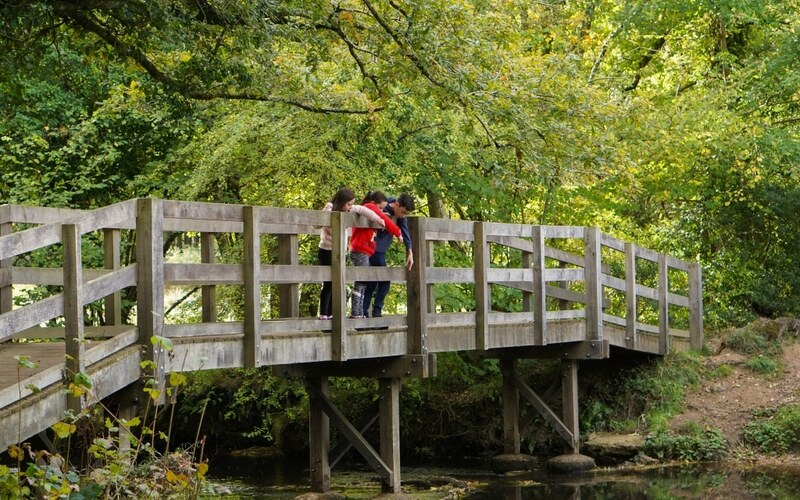 We love to explore places with the children and often drive off somewhere for the day. But with the shorter days, we can’t spend quite so long out and about. It also means the house could be left in darkness for much longer. 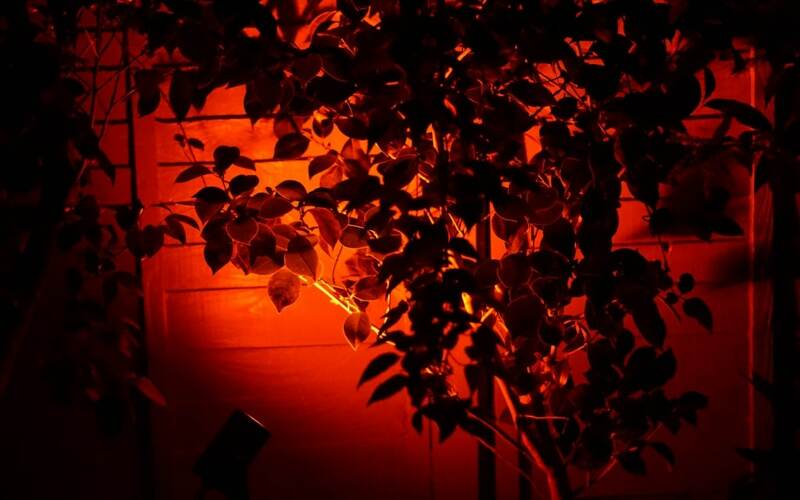 The Philips Hue Outdoor Lights can be placed around you outside spaces to light up your home. We can then use the Philips Hue app to have more control over our lights and create a safer home. By setting routines we are able to have our lights come on and off at certain times of the day, meaning our house isn’t left in darkness whilst we are out. 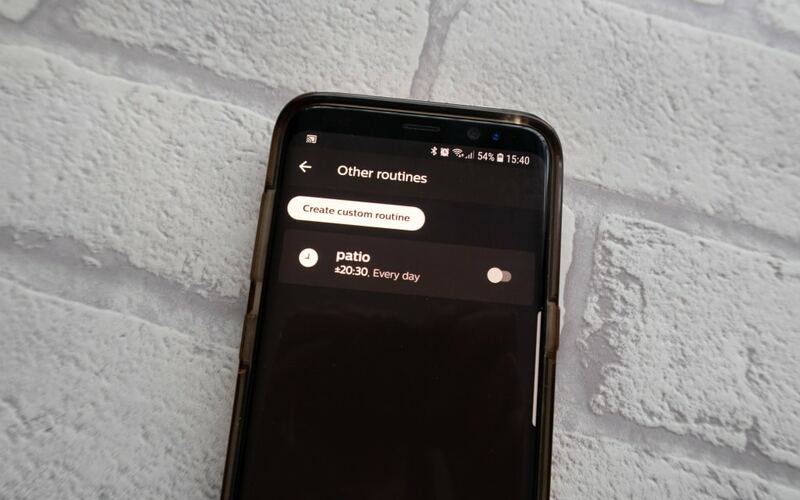 You’re able to set which lights come on, what colours and times you want them. Also by picking the randomise option, we have been able to create a more natural lighting routine. We also have loved the Geofencing option. The Philips Hue smart hub (the “Bridge”) detects when we are approaching our home and will turn on the lights automatically for us. 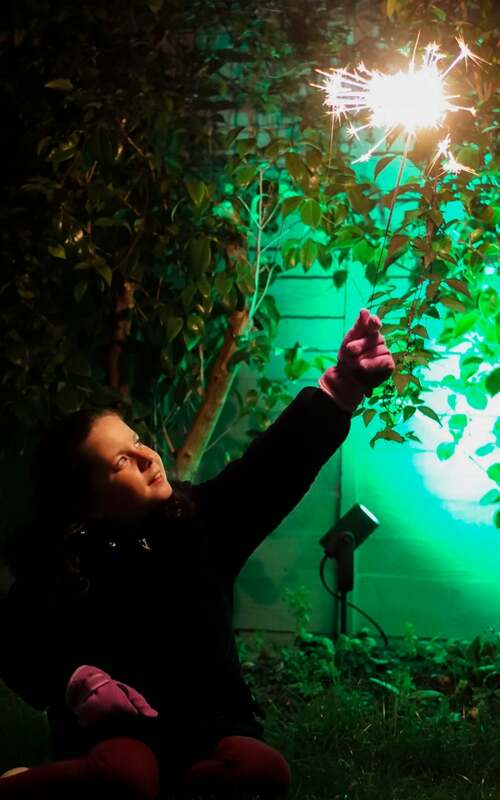 By placing the lights on your driveway and around the entrance, you will be greeted by a warm welcome. 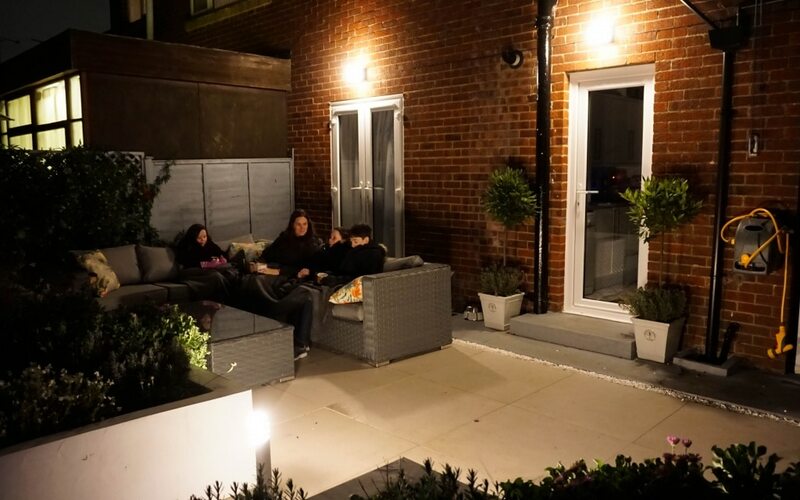 As the nights are darker much earlier it usually restricts the children being able to play outside. 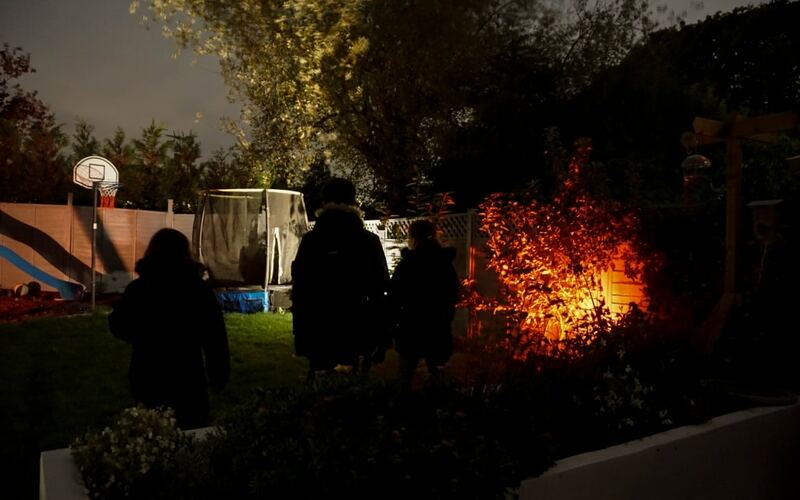 By placing the Philips Hue Lily spotlights around the garden and one even pointing onto their play area, they’ve been able to enjoy playing outside longer. With Halloween and Guy Fawkes night coming up, we have loved the option of using the Philips Hue living scenes function within the app. We have loved changing the lights to an array of spooky colours! It would make a great feature for a Halloween party! Hue’s self-timer option is great for giving the illusion someone is at home. For Guy Fawkes night this year, I will be setting the timer so we can go out and enjoy the fireworks with that added peace of mind that it looks like we are still at home. 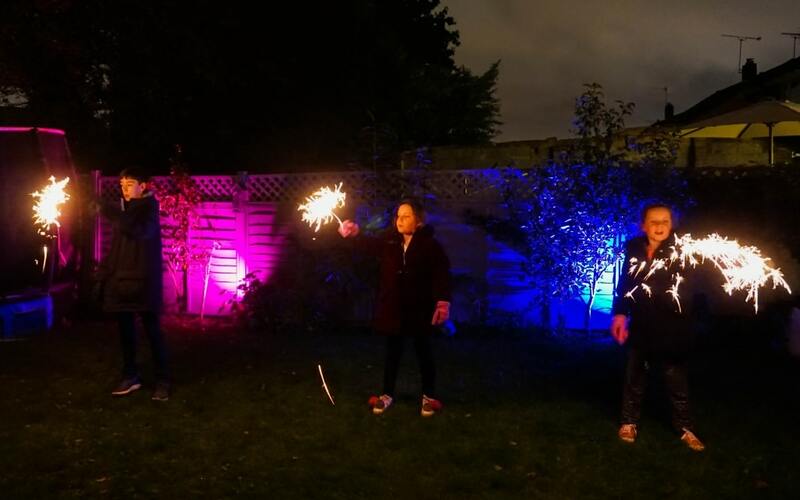 If you are staying in, have you thought about a Guy Fawkes night party in your garden with the Lily spotlights? Imagine the backdrop of fireworks shooting up in the sky and the colours down on the ground. 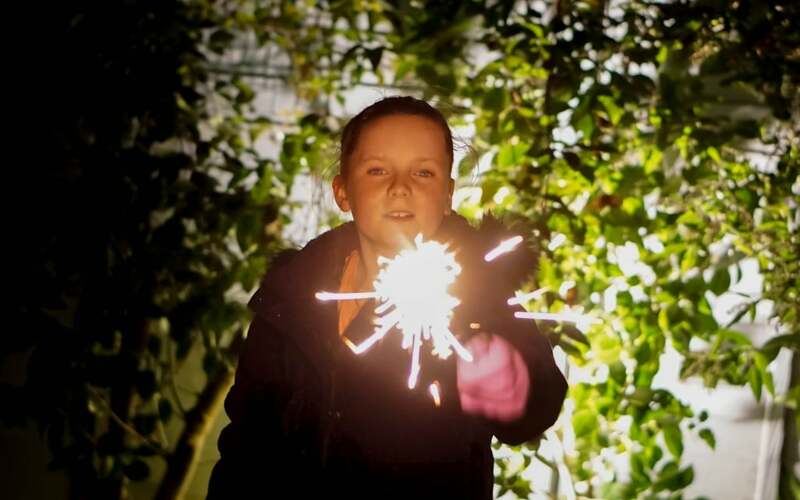 We’ve been enjoying the simple pleasures of lighting sparklers in our garden and with the Lily spotlights the garden looked incredible. 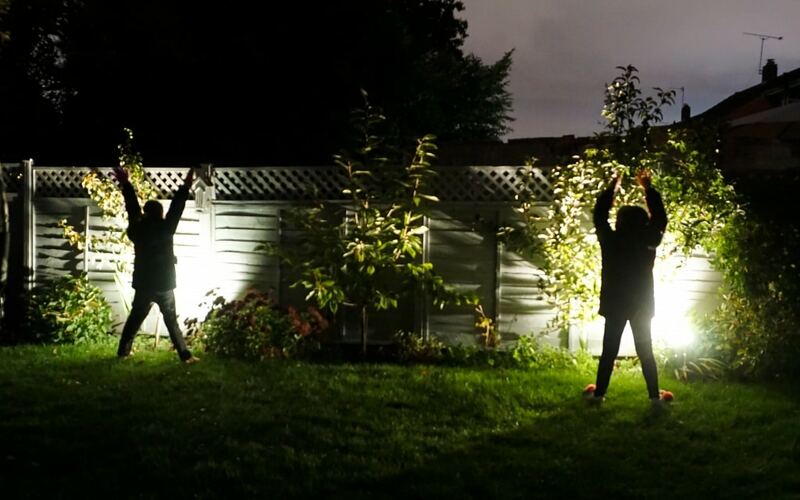 The Philips Hue outdoor lights even provided a fun backdrop to create some silhouette pictures! 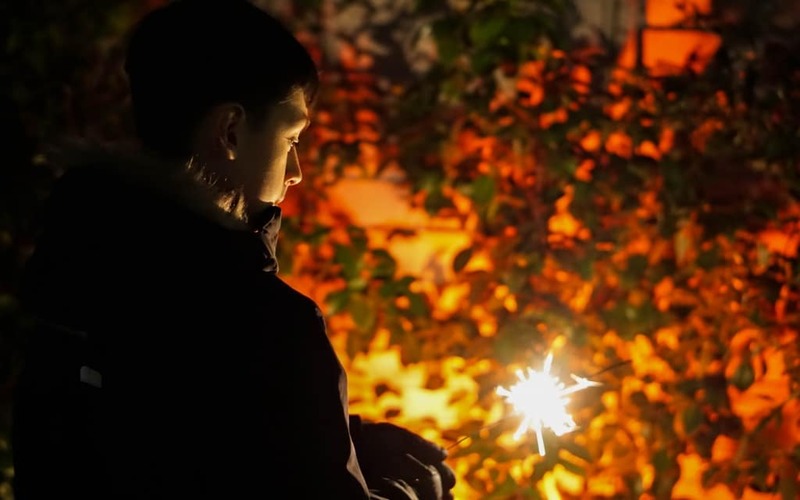 The bonus of the darker evenings means we can now enjoy different moments with the children. With the lighting on, we are really enjoying snuggling up on the garden sofa with a hot drink to keep us warm. This is the first winter that I’m going to feel much safer in my own home. 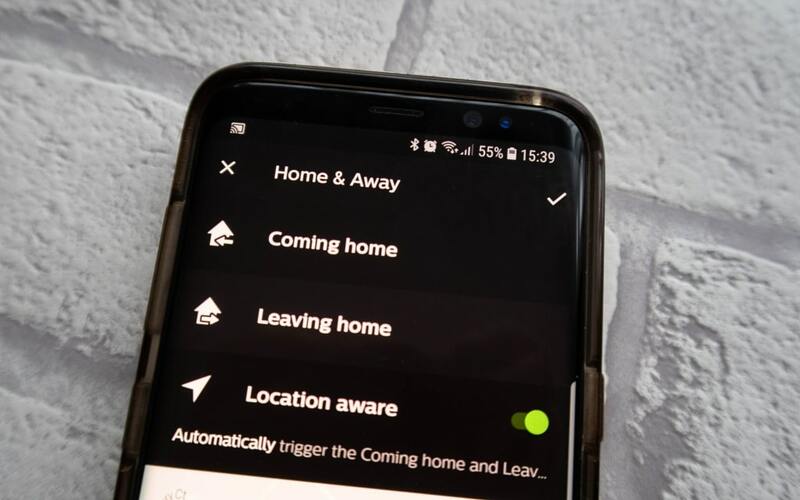 Using the lighting routines and even being able to control the lights when we are away from home will make such a difference. love your patio with the outdoor sofas! the lighting is fantastic. They certainly make the garden more colourful over the winter don’t they! Oh wow they look great! My father in law has an outdoor lighting business so we have lots of outdoor lights dependent on the time of year! hehe! 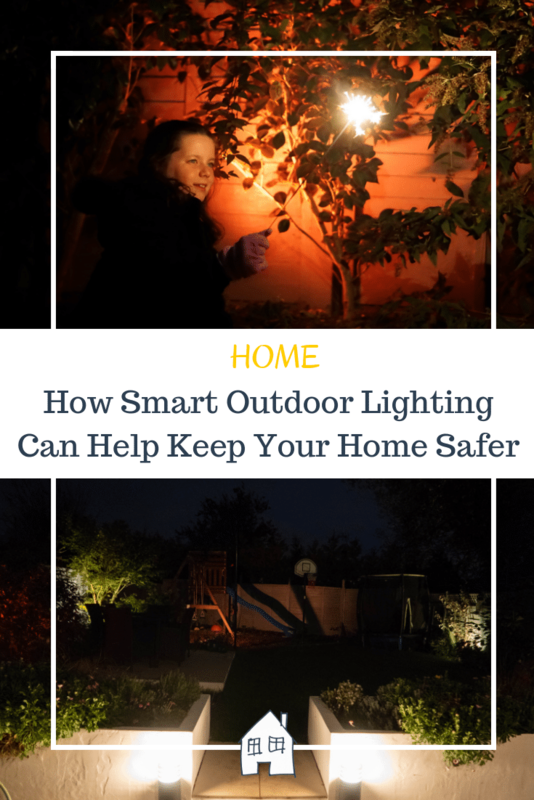 I bet you have outdoor lights everywhere! These look absolutely brilliant. My husband has been looking at lighting options for our garden and I am going to suggest these to him. I like the way you can change the colour too. I so love the Geofencing option. For me, it makes you feel safer and the fact that it sort of greets you through lighting when you come home makes it more pesonalised. Very welcoming isn’t it when you pull up on the driveway! Thank you, these are well worth a look, so modern and so many different functions too! I can’t believe how much difference they make to the home too! Those outdoor lights really are amazing. And a brilliant idea for keeping your home safer in the dark winter evenings. And how clever that it detects when you’re nearly home and turns them on for you. No more fumbling around try to open the door! I love your outdoor lights. So very pretty! I didn’t know Philips did outside lighting as well, I love how versatile it is! New this year but a great idea aren’t they! It looks like they’ve really made a difference to how you use your garden at this time of year. What a great idea! Thank you, we love them! Oh wow these look amazing! Great all year round. Love that you can control them with your phone too! SO handy isn’t it using the phone, I can control them from anywhere! Well this is what we need in our back garden! When we send the dogs out at night for a toilet break, we can’t even see them it’s so dark. lights like this would be so useful! Tell me about it! It’s been so handy for that! This is such lovely ideas beyond the summer uses. I am all for having a nice lit up house to come home to and at least being able to see to put my key in the lock! Especially now we are heading into our long dark winter here! I’ll soon be coming home from school in the nearly dark! What fabulous outdoor lighting. I have been looking into getting some of the Philips Hue range for myself. They are really cool lights your have so much fun with them! This is a great idea and the lights look so cool. Love the spooky look- very effective. Super fun aren’t they creating different moods depending on the time of year!